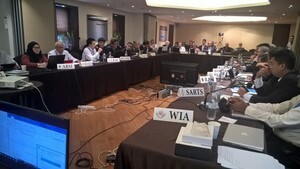 There are 74 attendees at the International Amateur Radio Union Region 3 Conference in Seoul, Korea. All delegates and observers from the Region 3 member societies assembled for the opening full (plenary) session (see attached picture). Stay tuned for more information as the Conference continues.